The Forest Governance Project, financed by the European Union, is developed in Belize, Guatemala, Honduras and Nicaragua, by a consortium of indigenous and community based organizations led by ICCO. 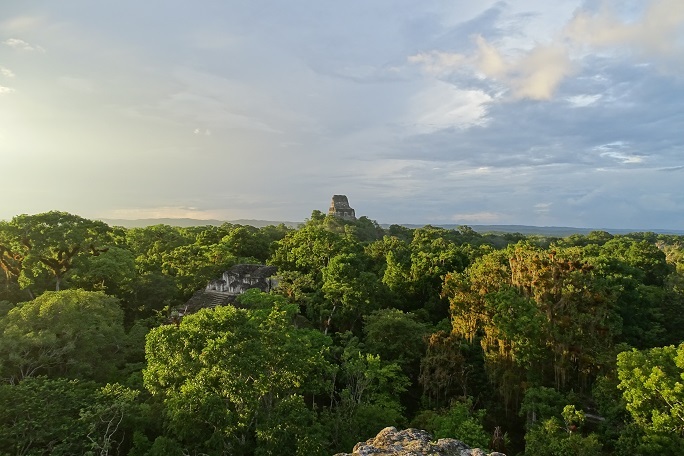 In Peten, Guatemala, it is implemented with the support of ACOFOP, to strengthen operational capacities of forest communities living in the Mayan Biosphere Reserve, and their effective involvement in forest governance and sustainable management. ACOFOP is a community-based association made up of 24 peasant and forest organizations that through Good Community Forestry Management, guarantee the perpetuity of the forests of the Multiple Use Zone of the Maya Biosphere Reserve, the main forest mass of Guatemala and one of the most important ones of the region. This organization works to improve the quality of life of the communities, through integral forest management and environmental services, thus promoting sustainability; social, ecological, economic and political aspects of the Multiple Use Zone and the Maya Biosphere Reserve. The forest concessionary communities grouped in ACOFOP have promoted the Guatecarbon project, the most advanced REDD + initiative in Central America, having already passed the processes of design, consultation and validation, and currently in an advanced stage of negotiation. In the framework of this project, the ability of communities to exercise their right to information access and consultation, and their participation in decision making spaces, will be strengthened through a Community Monitoring Network, which will generate an information flow (both ways , to and from the community) on the performance of actions for sustainable forest management and reduction of forest emissions, on the functioning of the REDD + financial mechanism as well as the social, environmental and economic impact of Guatecarbon. Young technicians from 15 local concessionaire organizations will be selected, trained and qualified to exercise community monitoring.